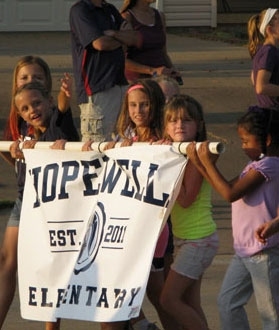 Welcome to Hopewell PTA! Thank you for joining the Hopewell PTA. Below are some resources on the PTA committees & events. We encourage you to review these resources. Please feel free to contact the committee chairs if you have any questions or if you are interested in getting involved with that committee. Learn the goals and activities of the PTA committees. Please reach out to the committee chairs if you have questions or would like to get involved. Please see attached file at the bottom of this page. This file highlights the many activities and events the PTA supports. Please feel free to reach out to the committee or activity chair to get involved. Click here to go to the Committee Chairs page. Everyone needs to use this program for purchasing gift cards. There is NO upcharge on the price of the gift cards. The pricing of the gift cards is the same as the price it would be if you purchased the gift card directly from the retailers. Everyone should and can contribute! This is such an easy way to help the PTA. Cut out box tops and register online to help the school reach its goal. Don't miss any of the upcoming PTA events and be sure to attend the PTA Meetings. Visit this page to keep up-to-date!